Annually, the leadership team at Escuela Campo Alegre (ECA) in Caracas, Venezuela, engages in professional literature studies of approximately six books, plus articles as they come up. The team spends approximately six weeks reading the same book independently, and then comes together for a team discussion of what has been read. Generally, there is a discussion of the big ideas as well as some of the meaningful details. The conversation then turns to what can be learned and applied here at ECA. Typically, books have been identified in the spring for the following year, often with at least a few following a theme flowing from the work we have been engaged in during the year just finishing. This year, the theme we chose to pursue through a number of the books we read was the idea of culture – the role of organizational / school culture, how it develops, and how it can be changed. 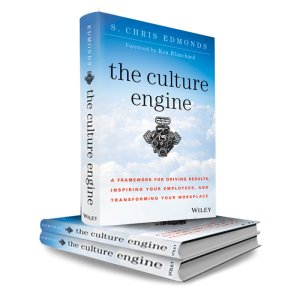 The most recent book read and discussed by the leadership team at ECA was The culture engine: a framework for driving results, inspiring your employees, and transforming your workplace, by S. Chris Edmonds. According to Edmonds, this book is about designing and aligning a desired culture in an organization (pg. 13). He approaches this through the creation of an organizational constitution, in which an organization establishes guiding principals and behaviors that clarify and define a desired culture. In the opening of the book, Edmonds takes the reader through a process of developing a personal purpose. This section initially seemed more a message of self-improvement rather than culture building until its role as foundation for change became apparent. Gradually, the book moved on to a discussion of organizational culture built upon the idea that a meaningful constitution and culture can’t be created unless the leadership involved has a clear sense of their own personal purpose to build upon. Edmonds goes on to discuss a meaningful process for promoting cultural change based of organizational values and success. Changing culture is disruptive. It can cause pain and confusion as an organization leaves behind what “has been okay around here”, and changes to what it is going to be around here (pg. 16). Organizational culture is an important component of a school. A strong, student centered, learning oriented culture can result in some of the most productive experiences possible for students, parents, and faculty, while a culture that is toxic and focused on protecting the status quo can often result in learning experiences that are marginal and far less than they could be. Edmunds reinforces the idea that cultures can change, and provides a powerful understanding of a process for making this happen. He states, “everything a leader does either helps, hurts, or hinders the creation of a great team culture (pg. 14),” in creating a meaningful and impactful culture, we must be constantly diligent about what the culture should look like and align our purpose, thinking and behavior to match that desired culture. Dr. Gregory Hedger has been the Director of the International School Yangon, in Myanmar, since 2016. A native of Minnesota, Greg has served in education for over 25 years, including 13 years in the role of School Director at Cayman International School, Qatar Academy, and most recently as Superintendent at Escuela Campo Alegre in Venezuela. Greg promotes international education through his past and/or present service on the boards of AAIE, AASSA, and his work with the International Task Force for Child Protection, his contributions to various periodicals, and his work to promote the next generation of leaders through workshops and teaching. Greg’s family includes his wife Kirstin, daughters Kaija, Sadie, and Anna, and son Max. This entry was posted in Gregory Hedger. Bookmark the permalink.